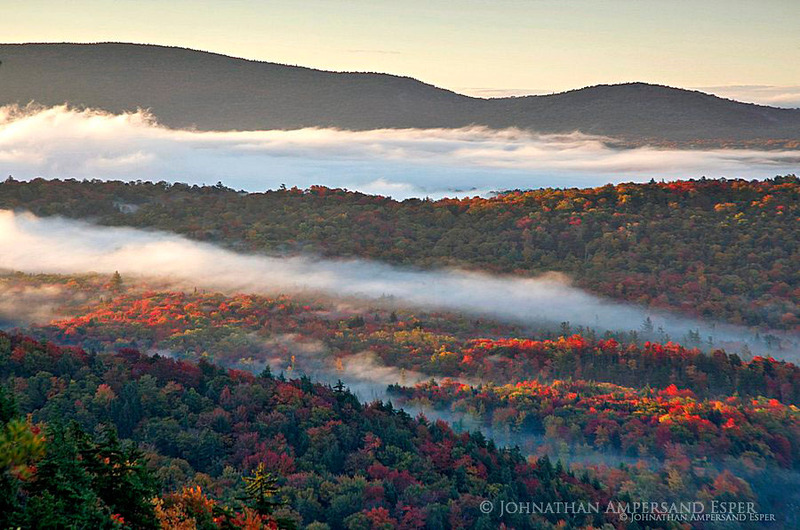 Rocky Mt sunrise view of fog over Inlet, NY. . Photo © copyright by Johnathan Ampersand Esper.